"What books would you recommend for someone just starting out on their personal development journey?" (Or some other version of this). I've given this question a lot of thought and the following list is my answer. Of course, you don't have to be a newbie to benefit from the books on this list. I've chosen books that can be read at multiple levels, they also just happen to be a great entry point for beginners. What's more, the principles in these books will be just as relevant and applicable decades from now as they are today. Personal development is about improving and evolving across all areas of your life, not just one. With that in mind, I've included books from a variety of genres including achievement psychology, people skills, spirituality, entrepreneurship, creativity, philosophy, relationships, and personal finance. Read through this list and see what jumps out at you. All books are linked to Amazon for easy ordering. If you find yourself reading a book you're not resonating with at all, it might just mean it's not the right book for you at this time in your life. My advice? Try another book. Skip around to different chapters that seem interesting. Start in the middle of the book instead of at the beginning if you want. There's no wrong way to read a book. The goal is to find the ones that speak to you. My general philosophy on reading is that even if you only get one good idea from a book that helps you be happier, wiser, more successful, etc, then it was well worth the few bucks you invested. Just one idea, tip, or strategy can pay for itself many times over. This is a short but powerful read. The "agreements" are essentially four core beliefs we should adopt to help us live a happy and peaceful life. They are: (1) Be Impeccable With Your Word (2) Don’t Take Anything Personally (3) Don’t Make Assumptions (4) Always Do Your Best. 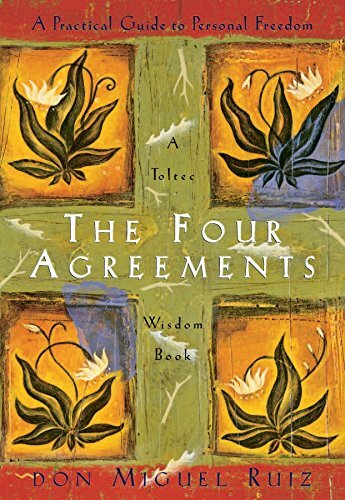 Both the practical and spiritual value of each of these agreements are explained in detail in the book. "Don't Take Anything Personally. Nothing other people do is because of you. It is because of themselves. All people live in their own dream, in their own mind...Even when a situation seems so personal, even if others insult you directly, it has nothing to do with you. What they say, what they do, and the opinions they give are according to the agreements they have in their own minds...In the same way, whatever you feel and do is just a projection of your own personal dream, a reflection of your own agreements." Don't make the mistake of writing off this book as corny or outdated. I first read this book when I was about 18 years old and I wish I would have read it even sooner than that. It is still one of the best books on "people skills" out there, at least in my opinion. Yes, it's old and many of the anecdotes and examples are antiquated. But the principles are timeless. Learning to effectively deal with people is a skill set that will take you far in life. This book will help you develop that skill set. The message of this book is simple, but potent: Small things over time make a big difference. It drives home the importance of cultivating good habits and gives you strategies for doing so. Since your life is made up of habits, this is a skill that will help you in every area of your life. Therefore, you get a lot of bang for your buck. This is a simple straightforward read and is especially helpful for anyone looking to make a major lifestyle change. "You cannot manage or improve something until you measure it." "It's not the big things that add up in the end; it the hundreds, thousands, or millions of little things that separate the ordinary from the extraordinary." 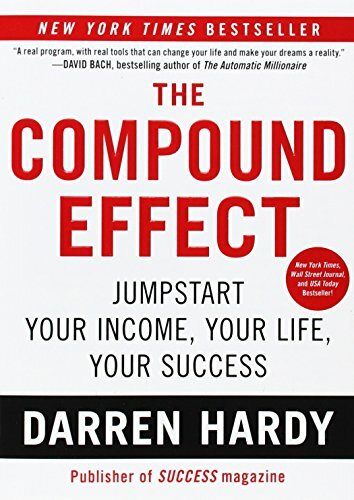 "The earlier you start making small changes, the more powerfully the Compound Effect works in your favor." This book is a classic in the field of personal development. It's an insightful look at the psychology of achievement. 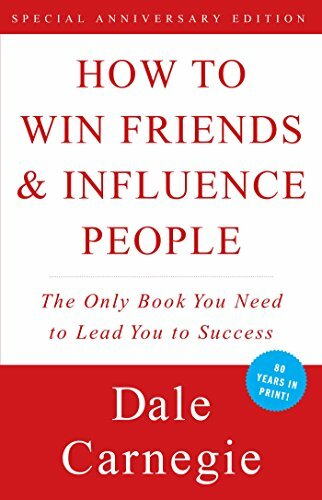 I think of it as the quintessential success/self-help book. 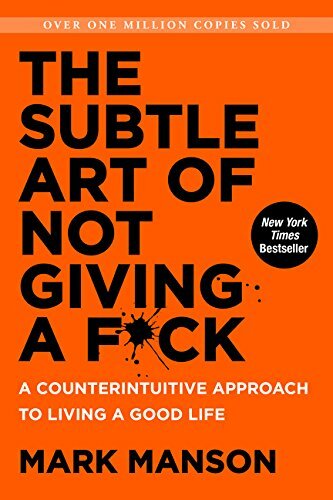 If you are brand new to the world of personal development, I recommend reading this first as your introduction to the genre. 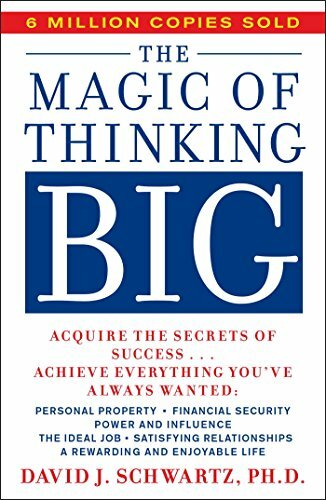 David Schwartz breaks down the fundamental principles for success that can be applied to any area of your life. It was written in the 80's but the concepts are more relevant today than ever. Filled with mindset shifts and valuable insights on success and happiness, this is one you'll want to read over and over again. "When you believe something is impossible, your mind goes to work for you to prove why. But when you believe, really believe, something can be done, your mind goes to work for you and helps you find the ways to do it." "Remember that the ability to think is of much greater value than the ability to memorize facts. Use your mind to create and develop ideas, to find new and better ways to do things." This is a fun, yet surprisingly profound introduction to basic spiritual concepts—becoming more connected and developing inner peace. It also has pretty cute pictures. 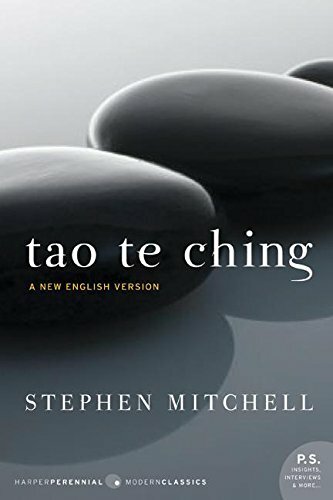 It's an excellent precursor to more complex spiritual teachings like Eckhart Tolle as well as older, more esoteric texts like the Tao Te Ching (listed below). One of the standout parts for me is the idea of "inviting your demon for a slice of cake and a cup of tea." Your "demon" is just a personification of the pain you've accumulated in the past, or the parts of yourself that you struggle with. The idea is that when you try to avoid pain or pretend it isn't there, not only does it remain, it usually intensifies. (What you resist, persists). But when you allow it to simply be there (i.e. invite it for a slice of cake and a cup of tea), you take back the control. Viewing your pain as a separate entity apart from who you really are makes it easier to deal with and eventually transcend. This is the foundational text for the Eastern philosophy of Taoism, of which I'm a fan. There are several things I love about this book. First, there is a lot of wisdom packed into very few words. The text is composed of only 81 brief poem-like chapters. Secondly, the way it's written lends itself to many different interpretations so every reader gets something different from the teachings. Indeed, you may find you get something different from it with each reading. Third, I love the fact that it is a very old text. Parts of it dates as far back as the 4th century B.C. If you know me, you know I'm a fan of timeless principles that have endured through the ages. Finally, I love the poetic style of this book. The language and imagery is beautiful and even if you take nothing from it practically, it is a wonderful literary work. Having said that, there are many different translations to choose from. I recommend starting with the one from Stephen Mitchell, as I think it is the most poetic and easiest to read, although probably not the most literal. Experiment and see which translation you resonate with the most. Much like Taoism, Stoicism is another ancient philosophy that has a lot to offer in terms of practical wisdom and timeless principles. There are a variety of ways you can approach Stoic philosophy, but if you're new to it, I'd recommend checking out this book. The idea-a-day format of this book makes the concepts easily digestible for someone new to this philosophy. 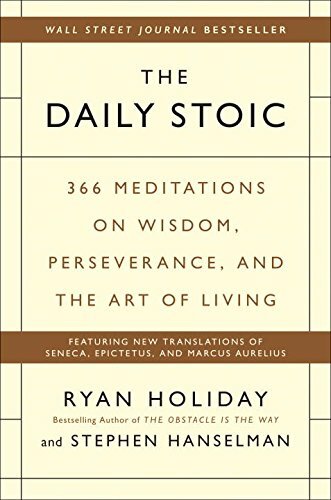 Add to that Ryan Holiday's explanations and commentary of ancient Stoic writing and you have yourself an extremely readable and helpful guidebook for the art of living. Negative visualization: Basically, this means contemplating (but not dwelling on) the so-called "worst case scenario" of a given situation. The value of this is threefold: (1) It can help you prepare practically for undesirable circumstances, such as when you are taking measures to secure your home. (2) Mentally preparing for a worst case scenario can help cushion the psychological whiplash associated with surprise catastrophes. (3) Recognizing the contrast between the potential worst case scenario and your current situation can help increase your gratitude for what you have. 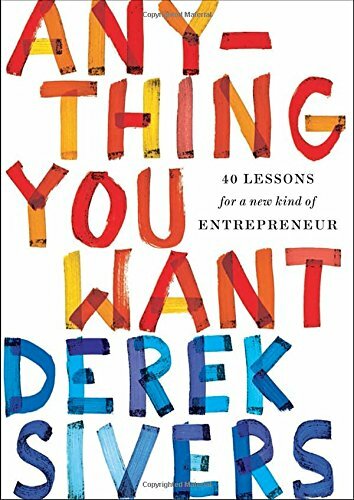 This book is for the creatives, the artists, the entrepreneurs -- anyone who has ever wanted to create something great but feels like something is holding them back. Steven Pressfield identifies this negative force as Resistance and describes the many forms it takes. More importantly, he explains how to overcome it so you can let your creativity shine. This book can be consumed in an hour or two but the lessons will stay with you for a lifetime. "How many of us have become drunks and drug addicts, developed tumors and neuroses, succumbed to painkillers, gossip, and compulsive cell phone use, simply because we don't do that thing that our hearts, our inner genius, is calling us to do?" This book contains tons of practical advice for getting "discovered" in today's digital world. 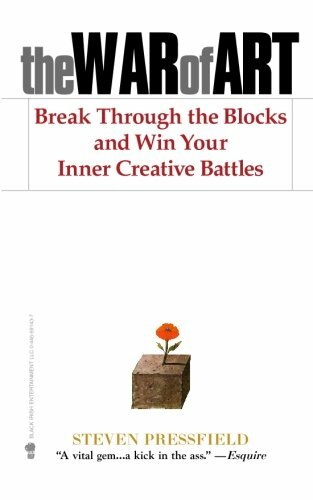 Combine this book with The War of Art (listed above) and you have yourself a powerful duo to fuel any creative endeavor or entrepreneurial venture. 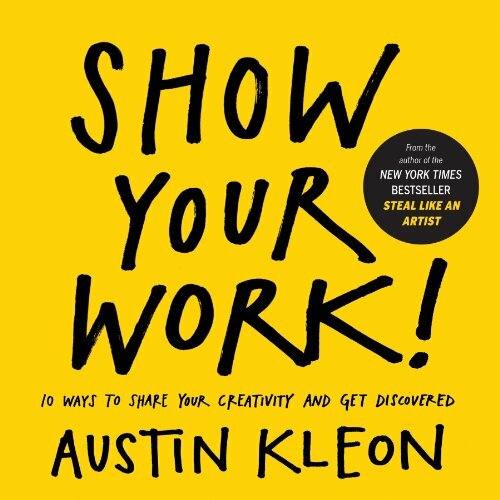 "The best way to get started on the path to sharing your work is to think about what you want to learn, and make a commitment to learning it in front of others...Share what you love, and the people who love the same things will find you." This book will always hold a special place in my heart because it inspired me to start my first real business. No other book has moved me to action more quickly or effectively than this one. It resonated with me so much, I finished reading most of it before I even left the bookstore back in 2008. This book is a practical and actionable guide to creating a business that allows you to live life on your own terms. It will help you see entrepreneurship and lifestyle design from a completely new and empowering perspective. Tim Ferriss is one of my all-time favorite teachers and a true master at reverse engineering success in many different fields. He's been a source of inspiration for me for many years. He also hosts one of my favorite podcasts, The Tim Ferriss Show. The difference between being effective versus being efficient. Being effective is doing things well, regardless if they are important or not. Being effective is doing important things well. Parkinson's Law: A task will swell in (perceived) importance and complexity in relation to the time allotted for its completion. Pareto's Law: 80% of the results come from 20% of the effort and time. Fear-setting: Clearly defining your worst case scenario if your venture doesn't work out, then preemptively figuring out solutions in order to help you see that failure is not that scary. "The blind quest for cash is a fools errand." "Being financially rich and having the ability to live like a millionaire are fundamentally two very different things." "Learn to ask: 'If this is the only thing I accomplish today, will I be satisfied with my day?'" "Ninety-nine percent of people in the world are convinced they are incapable of achieving great things, so they aim for the mediocre. The level of competition is thus fiercest for 'realistic' goals, paradoxically making them the most time- and energy-consuming." "A person's success in life can usually be measured by the number of uncomfortable conversations he or she is willing to have." "Life is neither a problem to be solved nor a game to be won. If you are too intent on making the pieces of a nonexistent puzzle fit, you miss out on all the real fun." (Fun fact: I have a version of this last quote tattooed on my arm, though I often forget it's there). 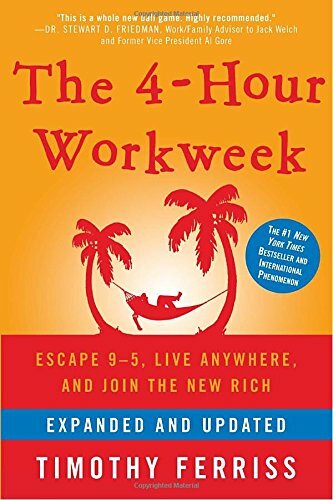 This is one of my all-time favorite books on the entrepreneur mindset. I guarantee it will change the way you think about owning and running a business. So much simple yet powerful wisdom packed into 84 short pages. This is one of those timeless stories whose life lessons stay with you forever. 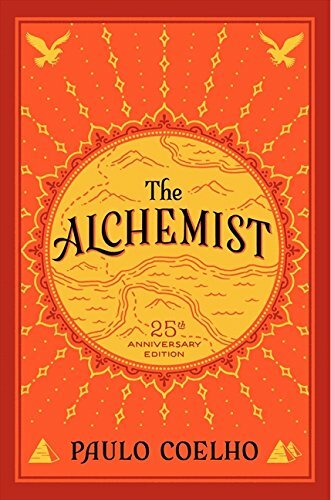 Years ago, I would watch hours of Will Smith interviews on YouTube and one time he mentioned this book as one of his favorites. That's where I first heard about it. When I read it for the first time, it resonated with me on such a deep level. I still goosebumps today when I reread this magical fable. It's worth mentioning that this is the only fiction book on this list. If you're a die-hard non-fiction reader like me, you might want to try sprinkling some fiction into your reading rotation. I’ve found that learning through stories and metaphors can be even more effective than learning from lists or directives that are often found in non-fiction. At the very least, it might help give your analytical mind a rest. I know it does the trick for me. This book is full of many powerful quotes and insights. It's one of those books you get something new from each time you read it. Here's a quote that has always stood out to me. The way I interpret this message is that when each of us find what excites us and follows it, the end result is that we make the world a better place. Imagine what the world would be like if everyone was doing what actually made them happy, sparked joy, or excited them? Don't let the title fool you, this is actually an insightful read. The main idea of the book is that you need to decide what is truly important to you and stop giving your precious energy and time to everything that isn't. One of the most helpful ideas I got from this book is a derivation of a Buddhist concept: the idea that suffering is unavoidable. This may seem depressing but it's actually quite empowering if you learn to apply it to your life in a practical way. The premise of this claim is that everyone -- regardless how successful they are -- has problems and will always have problems. Indeed, the solution to one problem is the creation of another. For example, deciding to exercise regularly helps increase your health and well-being, but adjusting your lifestyle to accommodate such a change comes with its own set of challenges. The point, however is that this isn't an inherently bad thing. Life isn’t about not having any problems or trying to avoid all problems. It’s about choosing problems you enjoy dealing with. (e.g. the problems that come with exercising versus the problems that come with being out of shape). This was the very first book on personal development I was ever exposed to. It was the catalyst for my life long love of self-improvement. During my Junior year of high school, my psychology teacher, Mr. Corner, used it as the basis for an entire semester’s worth of curriculum. I was hooked. These seven habits are an excellent foundation for creating personal change in your life. 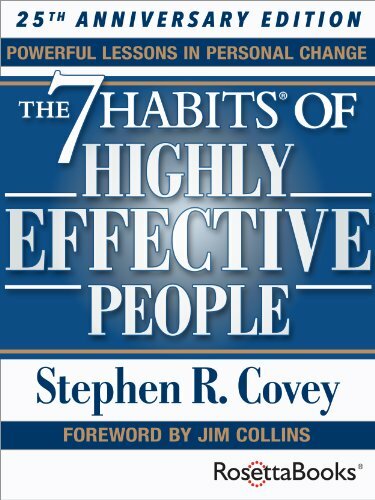 The author Steven Covey is a highly effective teacher and communicator and clearly lays out why these fundamental principles are important and how to apply them to your life. Financial literacy is one of the most important skills for being a functional adult, yet oddly enough it is not typically taught in schools. 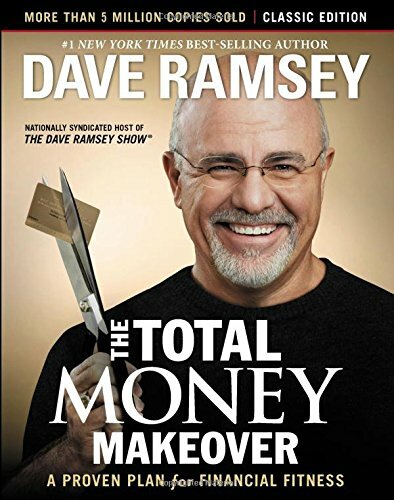 Dave Ramsey teaches the fundamentals of money management through clear, simple principles he calls the Baby Steps. The principles themselves are not particularly new or unique. However, what is unique is that his strategies work with human psychology to change bad habits rather than only focus on the cold hard numbers. I credit Dave Ramsey's teachings with helping Vanessa and I get completely out of debt years ago, which was a major turning point in our financial lives. The most helpful idea I've taken from Dave Ramsey's teachings is the idea that you can survive -- dare I say, thrive -- without ever using a single credit card. Since learning his approach, Vanessa and I only buy things cash and even then, only when it is well within our budgetary means. This practice has been extremely liberating for us. And although it may sound simple and obvious, violating this principle is at the root of many financial challenges people face. This book has had a huge impact on my life and relationships. It is my default framework for how to approach relationships of all kinds, but has been especially helpful in my relationship with my wife, Vanessa. 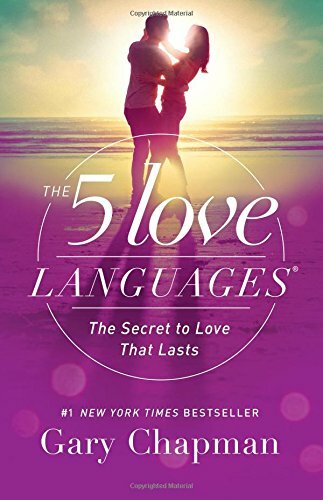 The thesis of the book is simple: Different people have different love "languages," or ways they interpret love. The categories are quality time, words of affirmation, physical touch, gifts, and acts of service. Most people have one primary love language which they recognize more readily than the others and also a secondary, supporting love language. Each of us automatically perceives others as showing love to us when they do so in one of these five ways. By knowing other people's love language, you can make sure you're not wasting your efforts by speaking a language they don't understand. By knowing your own love language, you can teach others how best to show love to you. Sometimes, simple ideas are the most powerful.